Boarding with Hunters Glen is your pet’s home away from home. Our facilities are clean, climate-controlled, and have well-trained staff members that take excellent care of our boarding patients. We have large runs that easily accommodate dogs of any size. They are easily cleaned and sterilized, ensuring a clean environment for your pet. 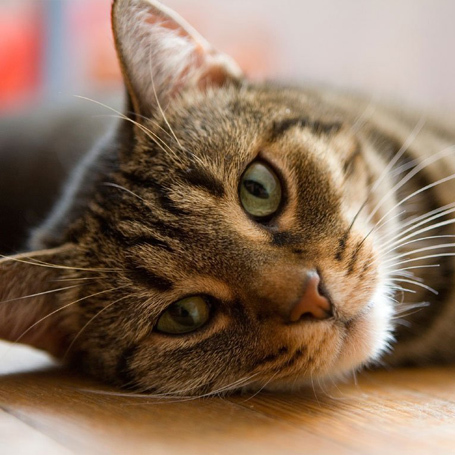 In addition, we have a cat room where our feline boarders can spend time outside of their kennel every day and can enjoy some sunbathing or bird watching out the window. One of the benefits of boarding at Hunters Glen Veterinary Hospital is the ability to monitor your pet’s condition and call you if there is anything concerning. If your pet needs medications while boarding, we may prescribe those. Administration of any daily medications is a breeze for our technicians and staff. We have standard checklists to ensure that your pet is given their medications at the correct time every day. We also have checklists for food to let our staff know when to feed your pet and how much to feed. You may bring your own food or use the clinic food. Dogs who board 7 or more nights, we offer a free bath, and for cats who board 7 or more nights, we offer a free nail trim. We would love to have your pet stay with us. Call and reserve a spot for your next trip 918) 493 – 3332!